The scholars were selected from a pool of over 800 applicants and are drawn from various Sagicor stakeholders to include clients, children of clients, team members and employees of the Jamaica Defence Force (JDF). A total of 75 tertiary and secondary students were officially awarded with their scholarships from the Sagicor Foundation during a ceremony held yesterday, Thursday August 23, 2018 at the Jamaica Pegasus Hotel. As the students and their parents prep for the start of the new school year, some of their financial burden has been eased as the scholarships granted are for tuition fees, books and other related school supplies. 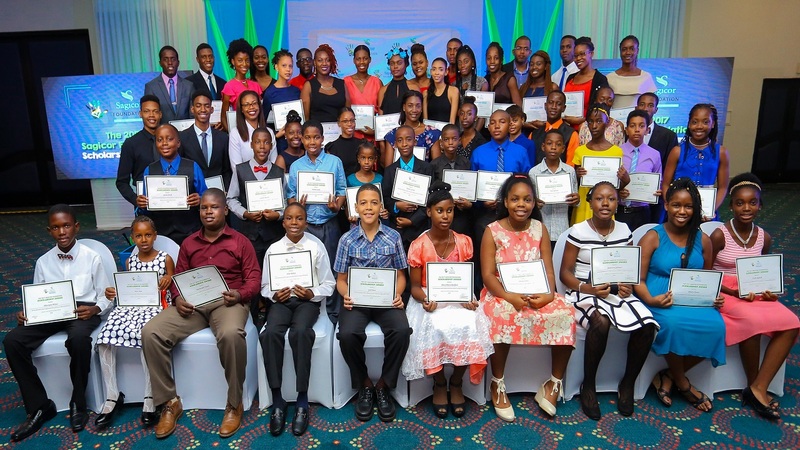 The scholars were selected from a pool of over 800 applicants and are drawn from various Sagicor stakeholders to include clients, children of clients, team members and employees of the Jamaica Defence Force (JDF). Scholarships were also awarded to the 2018 Champion boy and girl from this year’s staging of the Jamaica Teachers’ Association/Sagicor National Athletics Championship. 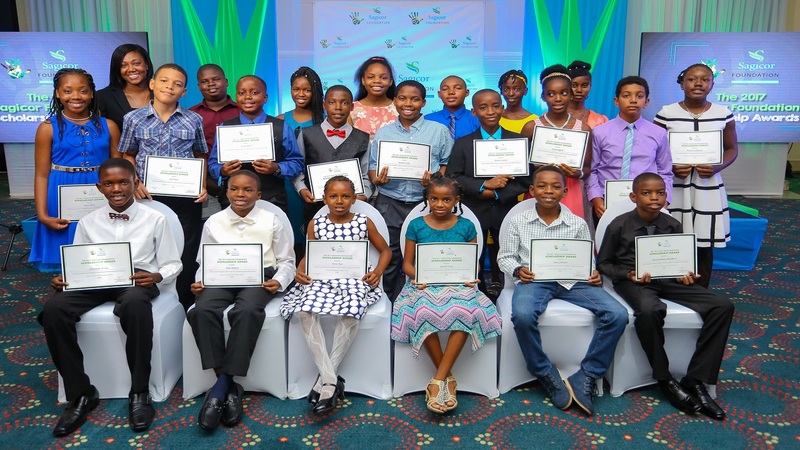 The number of scholarships awarded to students who completed the Grade Six Achievement Test (GSAT) this year, and have successfully matriculated to secondary school, have increased from 37 last year to 50 this year. 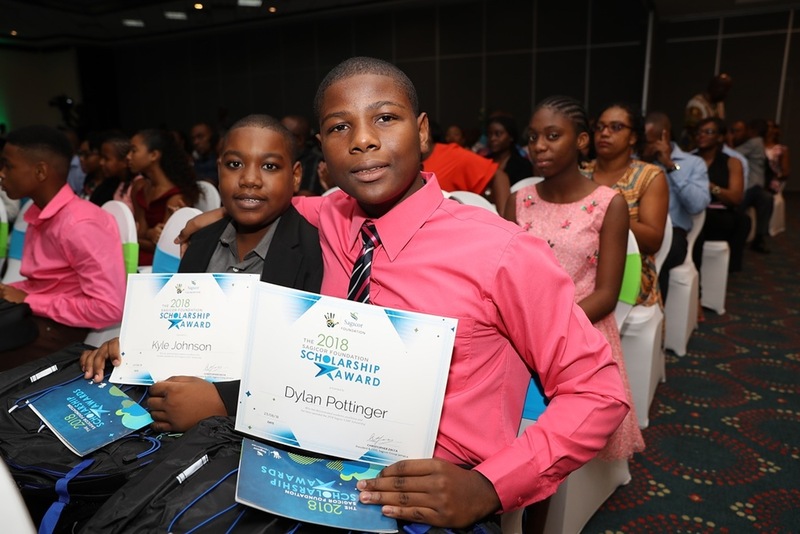 In the GSAT Scholarship category, 27 children of JDF employees were awarded with academic grants valued at $40,000 for this school year, while the other 23 GSAT awardees received full scholarships valued at $50,000 each annually for their five years at secondary school. The full scholarships are renewed per annum on the merit that the awardees maintain an average of 80 per cent and above. For the tertiary scholarships, 25 students were selected based on academic performance, community involvement, and volunteerism, strong leadership potential and financial need. The tertiary scholars, who will be pursuing their first degrees in varying fields of study, at the following institutions - University of the West Indies, University of Technology, Mico University College, Northern Caribbean University, Caribbean Maritime University and the Edna Manley College of the Visual and Performing Arts. Each awardee received a renewable scholarship valued at up to J$250, 000 towards tuition fees for a maximum of four years for their studies. 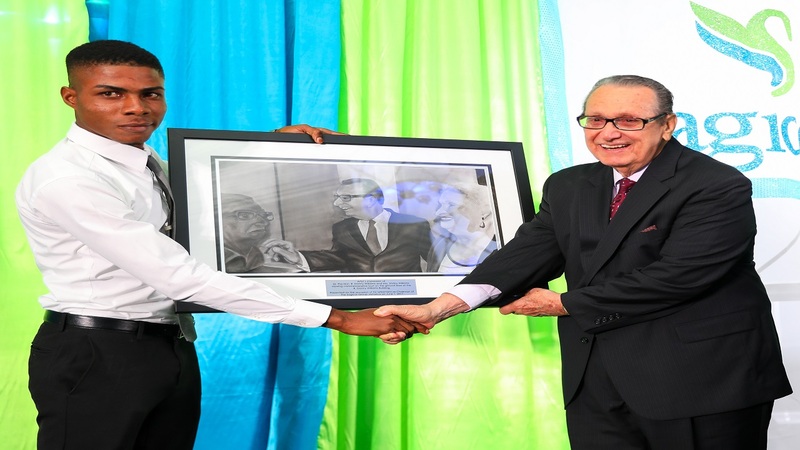 In an overview of the scholarship programme, R. Danny Williams, Sagicor Foundation Chairman commended the awardees for the attitudes and values they displayed throughout the scholarship process. He also encouraged the scholars to be bold advocates of change in their various environments. “As you venture out on your new, exciting journey, I want you to take advantage of all the opportunities that will be presented to you in high school and university – be bold and confident in your endeavours and be an example for your peers to emulate,” Williams stated. 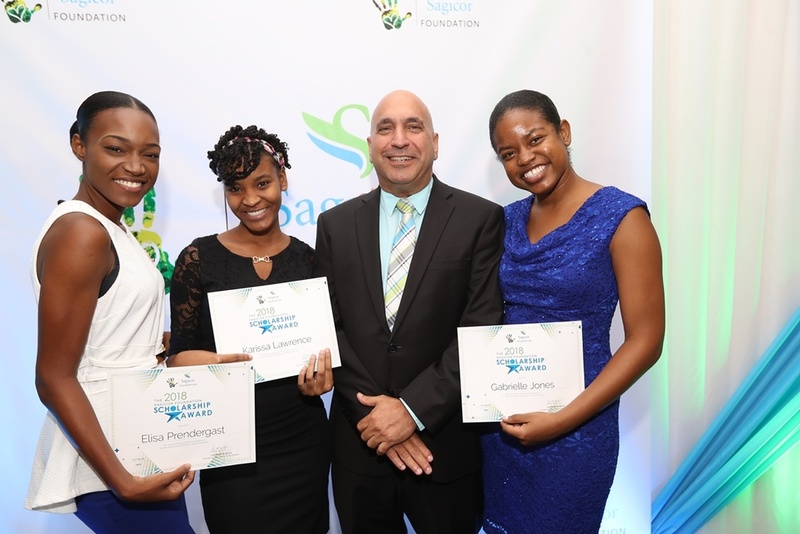 Sagicor Jamaica Group President and CEO, Christopher Zacca shares lens with two of the scholarship awardees. In his address to the awardees, Christopher Zacca, President and CEO, Sagicor Group Jamaica, reaffirmed Sagicor Foundation’s focus on education and underscored the importance of corporate companies being socially responsible citizens. “For us at Sagicor, we hold our scholarship programme very near and dear to our hearts. We understand and appreciate the value of receiving a sound education. We also know the relief a scholarship can provide to parents and guardians when it comes to school-related expenses. This is why we are pleased to be in a position where we can help so many promising young people achieve their dreams,” he said. Guest Speaker, Jezeel Martin, Associate at Myers, Fletcher & Gordon Attorneys-at-Laws, shared his inspirational story with the scholars of trials and triumph, recounting his journey as a young boy growing up in the often violate community of August Town in St. Andrew, to being awarded international scholarships and now living out his childhood dream of being a lawyer. Minister of Education, Youth and Information, Ruel Reid who was also in attendance at the scholarship awards congratulated the awardees and commended them for the hard work and encouraged them to stay focused on their educational journey ahead. He also applauded the Sagicor Foundation for continuing to play an active role in empowering young people and giving them an opportunity to advance their education.